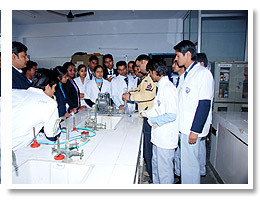 Department of Microbiology organised three days hands-on-training programme from October 7th to 9th, on Fermentation Technology at Dolphin (P.G.) Institute of Biomedical & Natural Sciences. Number of participants was limited to 40 only for providing quality exposure. Two day workshop on Microbial Technology was organised in collaboration with Forest Research Institute, Dehra Dun on 10th and 11th of October. The workshop was partly funded by CSIR, DST, DBT and ICMR. 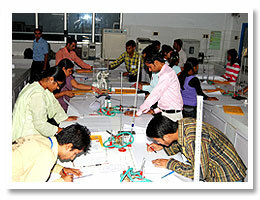 More than six hundred students and faculty members attended the Workshop. Microbiology had, and will continue to have a profound impact on society. There is no field of human endeavor, from industry to agriculture, food processing to shelter or clothing, health and medicine which not influence by microbiology. In future, microbiologists will be developing new uses of microbes in agriculture, industry, human health and also environmental control, further discovering new microbes and understanding their interactions. Analyzing and interpreting the ever increasing amount of data from the genome studies continue to use microbes as model system for answering fundamental questions in biology. The institute conducted two days workshop as a platform to enrich the knowledge in Microbial Technology and secure an opportunity to interact with scientists and academicians with vast experience in the field of microbiology from various universities, institutes and industry. The three days hands on training programme in Fermentation Technology preceding the workshop was to provide a unique opportunity to the students orienting them to the needs of the industry. A manual, prepared by the faculty of the department, was also formally released during the hands-on-training. The manual has been designed in such a way so as to make everyone understand the basic concepts of fermentation technology and its wide range of applications. It covers all the important aspects of technology like fermenter design, medium optimization, inoculum development, downstream processing and strain improvement. 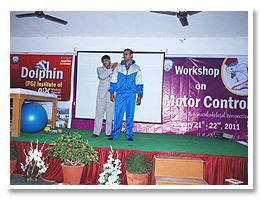 It includes various practical exercises which can be performed at small scale as well as large scale.